Carol "Dean" McClure, Jr. 58, of Landrum, went home to be with his Lord on March 31, 2019. He was the son of Cecelia Mae Raines McClure Miller and the late Carol Dean McClure, Sr. He was a member of Blue Ridge Baptist Church and attended First Baptist Church Landrum. 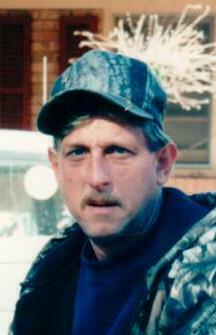 Dean loved to hunt, fish and the outdoors. He was an avid gardener and loved selling his produce and supporting the Landrum Farmers Market. In addition to his mother, he is survived by two daughters, Izora Danielle McClure-Avola (Pete) and Cecelia Michelle McClure; a brother, Charles McClure (Anna); a step-father, Dallas Miller; grandchildren, Birchie and Henry McClure, Nicholas and Marceline McClure-Avola; nieces, Hannah Garcia and Carole Anna Forthman. The family will receive friends from 6:00-8:00PM Tuesday, April 2, 2019 at Petty Funeral Home. Funeral services will be held 2:00PM Wednesday, April 3, 2019 at the Petty Funeral Home Chapel conducted by Rev. Mark Bishop and Rev. Jimmy "Hambone" Camp. Burial will be in the Oak Grove Baptist Church Cemetery. Memorials may be made to the First Baptist Church Landrum Building Fund, 300 East Rutherford St., Landrum, SC 29356. The family will be at the home of his mother and step-father, Cecelia and Dallas Miller.